At some point since deciding to give Brock the clear and defined goal of earning Certificates of High Medical Honors, I realized that the other thing Brock was going to need was a rival in his goal. Of course, there is an inherent flaw with giving Brock a direct rival. Healing Pokémon shouldn’t be a competition, and introducing a rival would make it into one. 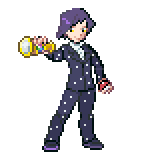 So, I decided the best way to go about it would be to make it so that the rival’s character flaw was that he saw healing Pokémon as a competition. From there, I realized that this would make him a very different person from Brock, so I decided to go all the way and make him the exact opposite. Where Brock is kind, caring, and humble, Alistair is arrogant, selfish, and egotistical. When writing for him, I wanted to make him a character that you loved to hate, and judging by several reviews and private messages I received, it was a success. Often times when you have a character who acts like a jerk, they do it in a way that makes them cool and/or funny, like Gary, or they have complex characters that make them interesting enough that you forget how big of a jerk they are, like Paul. With Alistair, I just wanted him to despicable, with no redeeming traits. As for Heala, I know many of you were happy to finally see Ash catch it. I know I’ve had many reviews, comments, and messages asking if and when Ash would catch it. To tell the truth, when I first had Heala start to follow Ash, I didn’t quite plan on it taking this long for him to catch. 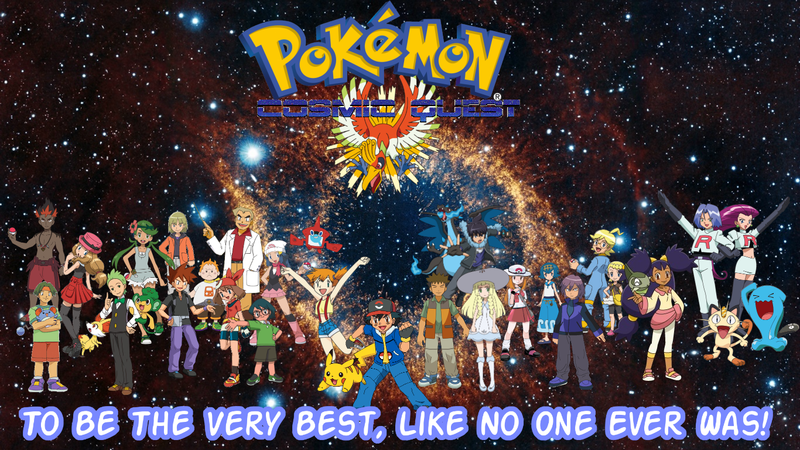 It’s just that a long string of important and unmovable episodes took place, such as the Team Planetary episodes, the Crater Town gym battle, or the Ultra Sun and Moon special, so Heala’s capture had to be pushed back. The obvious purpose of this episode was both the concluding of the gym battle from the previous episode, and the initial battle with Ash’s Tenno Region rival, Ryu. Ryu is meant to be the the perfect rival in my eyes. He borrows a lot from Paul, who in my opinion was the best of Ash’s rivals, and a little from Gary, a close second, as well as a little bit of myself mixed in (when I say that, I mean my obsession with Dragon-Type Pokémon). The biggest problem with this episode was that there was too much battling for my tastes. I don’t know how it turned out when read, but I’ll admit that it wasn’t the most interesting to write. In all honesty, there isn’t much to cover here that wasn’t covered in the previous episode review. I liked the idea of giving Brenda a rival who was well known and good, but not necessarily at his best yet. I allowed Will some room to grow. The final round battle was my plan from the beginning of the series to explain the general relations between Light and Dark-Type Pokémon and the mechanic of the Full Moon weather condition. Another thing that popped up in this episode was my first usage of abilities. Normally the way abilities work in the show is that they will only pop up rarely, but when they do, many pop up (this is especially true for the Diamond and Pearl series, specifically battles with Paul). I hope to better integrate abilities into my series, and in all honesty, I haven’t done that good of a job yet.